You will stay in a vast and beautiful renovated apartment of 55 sqm. Comfortable and fully equipped, it can accommodate up to 6 travelers. 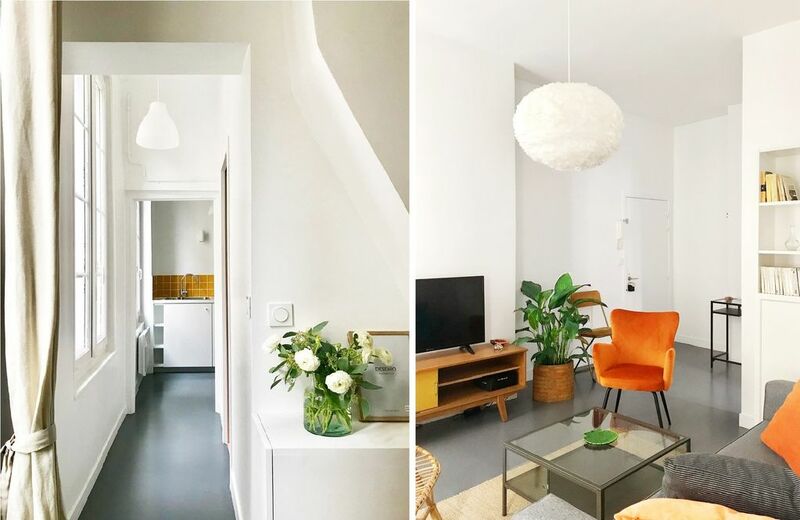 Ideally located in hyper-center of Le Havre, you can discover on foot the main tourist attractions of the city (Museums, fishing port, casino, beach, fish market, etc.). Decorated by a designer architect, the apartment is dressed in a mix of new and vintage furniture. You will find everything you need: in the kitchen: an oven, induction hob, a kettle, a toaster, an espresso machine, an iron with ironing board and a washing machine; in the living room: an HD TV; in the bathroom: a hairdryer and all towels and bath towels; and for your nights: duvets and pillows. The sofa in the living room is convertible, it can be converted into a double bed (Bultex mattress). Lovers of literature will enjoy many books in the bedrooms and the living room. The entire apartment is equipped with ultra high speed WiFi. Located in one of the oldest neighborhoods of Le Havre: Île Saint-François. You will enjoy the conviviality of its inhabitants, its fishing port, its numerous restaurants, its museums of Art and History, and its numerous pre-war vestiges integrated in a reconstructed architecture distinguished from the rest of the city. Appartement très bien situé, des restaurants aux alentours et tout accessible à pied (mer, visites...) L'accueil est très chaleureux, nous avons passé un très bon weekend!